Tim Cook mentioned in Goldman's Technology Conference that more than 120 million people visited Apple stores during 2012, representing 1.69% of the world population (about 7,000 million people). 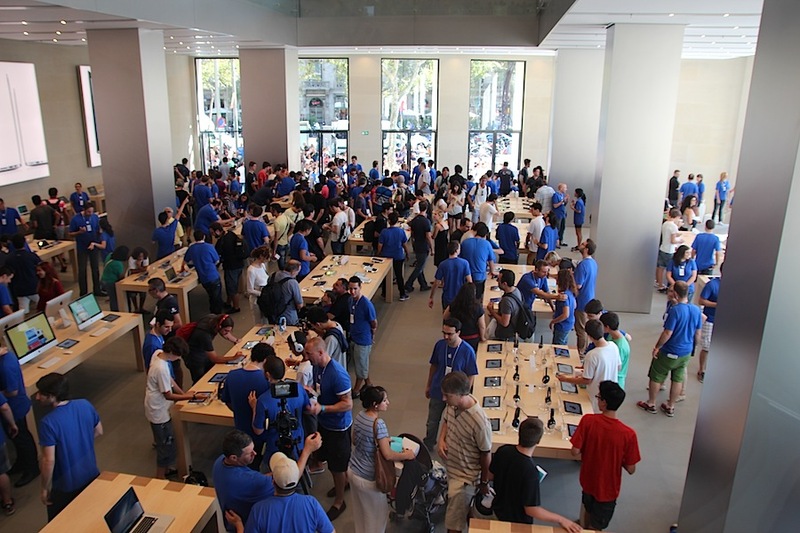 The massive influx of visitors to Apple stores is one of the reasons why it has not needed to make their products in major international events. 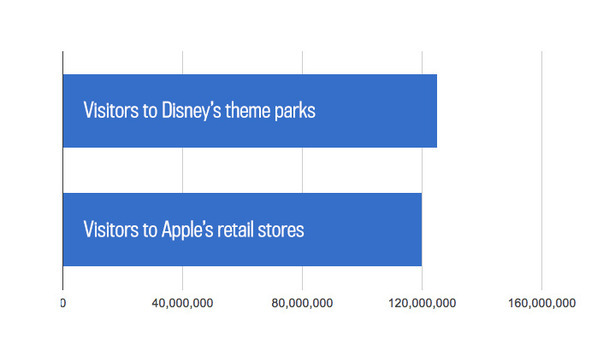 Apple Stores in 2012 received almost as many visitors as all Disney theme parks worldwide. So that you can get an idea, the Super Bowl is watched by an average of 111.3 million viewers. Given this figure, it is as if every Spanish (yes, every) pisase Apple Store 3 times a year. 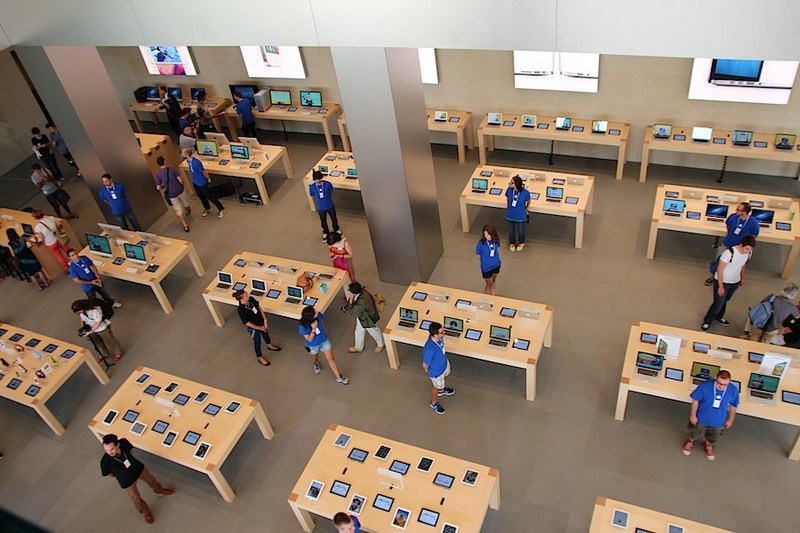 Recall that Apple stores generate more profit per square meter than any other network in the world, and when you consider that every customer visiting an Apple Store spends an average of 34.5 euros ... you just have to do math to understand their great benefits. An area of 30 square centimeters of an Apple Store generates about 4618 euros, almost double that Tiffany & Co, valued at 2303 euros for the same space. 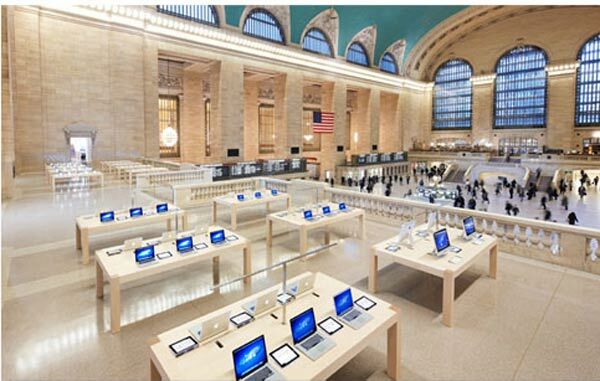 In this link (click on View more photos) you can find pictures of one of my favorite Apple Store in Grand Central Station in New York. No wonder that Apple receives many visitors, if pass near any of these wonders would not hesitate to be one of them.